So I was asked if I wanted an ARC about a girl who goes to Scotland and finds love with a Scotsman or Highlander, something like that. I don’t read blurbs (because most give way too much away) so I was like heck yeah. I love all things Scotland. Hell, I was in Scotland last year in the summer. Then, I started reading and the writing was really pretty good. I’m enjoying the first few pages when disaster strikes. So I’m reading this book and Jamie Fraser’s name actually comes up. I’m like, there is no freaking way the book I swore I never read was in my hands. Because in this story, the girl tells her friends she’s found Jamie Fraser. To make a long story short, this isn’t the book I heard about. That book is called Finding Fraser. But honestly, two books with the similar premise about an iconic CURRENT fictional character??? What are the odds? Anyway, I almost DNF this book. But I figured; let me give it a shot because I got the ARC. In the end, the book had two main problems. One the premises has been overdone so many times. Let’s pretend to date for whatever reason and then we end up falling in love. And that isn’t such a bad thing because everything in romance has been done. It’s all about the author’s spin on it. 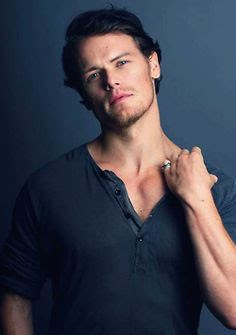 But I think had the author taken Jamie Fraser’s name out of the story and just went to Scotland because and the man she meets just happens to look like a book character she loves (never naming him outright) and describe him without using the name Jamie Fraser twenty times or more in the book, it would have been better. But my biggest complaint with the story was the butchering of the Scottish language and culture. The author spelled out words spoken in dialogue phonetically when the characters spoke. Quite frankly, I felt offended and I’m not Scottish. When people write about characters with French and British accents, they don’t used made up words to have the reader hear the accents. So why do it with the Scots. Plus, donna is not how the Scottish pronounce their word for don’t. It’s dinna or dinnae. And donna is used so much it’s distracting. And other words are used and spelled wrong but donna is the biggest offender. Having spent time in Scotland, I can attest. And a little online research by the author would have gone a long way. Now, if the author had the dialogue correct, then had the character muse to herself it sounded like I lass, I donna know. When she would have written first, Aye lass, a dinna ken. Then I would say okay, she’s used the words correctly, but she wants the reader to hear it in their head. Anyway, with my two big problems with the story, the author still managed to have me care about the sexist Galen and the silly almost stupid Sloane. I think had those other two things been changed in the book, I would have given it closer to a five-star rating.